Tour behind the scenes of the Melbourne Cricket Ground. Explore the National Sports Museum including the Champions Racing Museum & Gallery. Enjoy lunch at Urban Alley Brewery in Melbourne's Docklands. Visit 'Living Legends', host to our favourite retired champion race horses. Meet the horses and enjoy afternoon tea. The MCG is a super stage for Australian sport, stadium for the 1956 Olympics, Melbourne 2006 Commonwealth Games, International Cricket and Australian Rules Football. Highlights of the tour (all subject to availability) include; The Olympic Stand, Media Centre, Players change rooms (football and cricket), Cricket viewing room, the exclusive Member's areas - including the Long Room, Bill Lawry Cricket Centre, The Ponsford Stand - Aerial views, and walk on the hallowed turf (arena). Explore the National Sports Museum, located at the iconic MCG and featuring more than 2500 sporting artefacts and extensive multi media displays, showcasing the great moments in Australia’s sporting history. Includes the relocated Champions Racing Museum & Gallery. 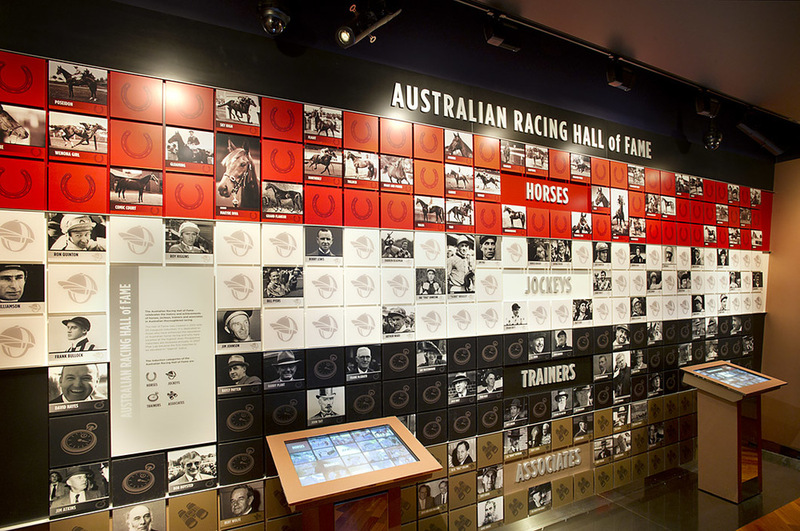 More than just a museum, it captures the spirit of Australian sporting life and relives the moments that have shaped Australia’s rich sporting traditions. Visit 'Living Legends', host to our favourite retired champion race horses. Meet the horses, watch kangaroos in their natural environment, and enjoy devonshire afternoon tea. Living Legends is modelled closely on the Home of Rest for Horses in the United Kingdom and like the Home of Rest they aim to support equine research, education and training to benefit horses of all ages and breeds. Special emphasis, however, is given to the care of older horses. Sun Stud, formerly Eliza Park, is one of the fastest and most progressive thoroughbred breeding and racing nurseries in Australia. It is Eliza Park's philosophy to be supportive of every facet of the thoroughbred industry on all levels. This includes breeding, rearing and selling, breaking-in, pre-training and full training services. Departs Federation Square, Russell St- outside entrance to Melbourne Day Tour Centre. Google “Russell Court Melbourne” for map. City Hotel Pick Ups on Request.